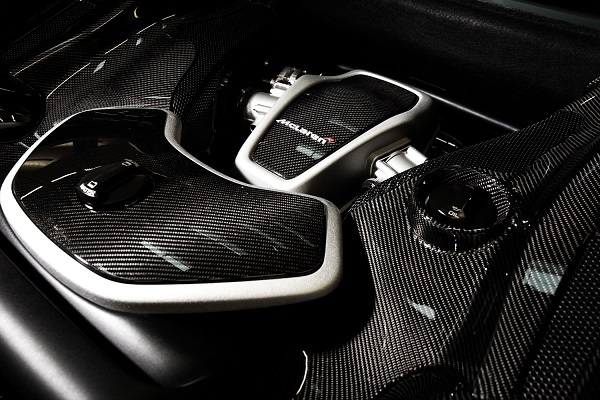 I have barely finished my research and editorial piece on the McLaren 650S Coupe and Spider when I received more awesome news form the McLaren HQ – The 3.8-litre twin turbo V8 petrol engine has upheld the honour for McLaren Automotive, having won the ‘3-litre to 4-litre’ category at the 2014 Engine of the Year awards. The success marks the second consecutive year McLaren has claimed the prestigious title, having been named the first new winner of the accolade for five years in 2013. The M838T engine, designed and developed by McLaren in collaboration with Ricardo, has recently undergone significant changes to produce a class-leading 650PS and 678Nm of torque in the McLaren 650S Coupe and Spider. Acceleration from a standstill to 62mph (100 km/h) takes just 3.0 seconds, with no compromises to efficiency or emissions, returning 24.2 mpg (11.7 l/100km) on the combined cycle, emissions of just 275g/km, and no gas guzzler tax in North America. The International Engine of the Year awards were presented at Engine Expo 2014, and voted for by an independent panel of leading automotive journalists from around the world. Richard Farquhar, Head of Powertrain and Graham Langham, Engine Manager from McLaren Automotive received the award at a ceremony in Stuttgart, Germany. Now I can get back to my feature on the McLaren 650S – diva is getting distracted with too many good news from the Automotive brands this week!